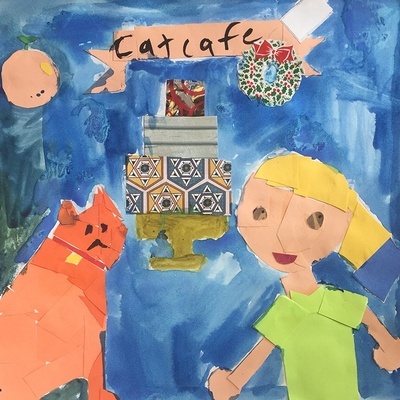 MOUNTAIN VIEW, CA – The Community School of Music and Arts (CSMA) presents Explore Identity Through Art - a collaborative exhibition created by the faculty and students of CSMA’s Art4Schools program in local elementary. The exhibit is free and open to the public from February 1-28 at the City Hall Rotunda, located at 500 Castro Street in Mountain View. City Hall is open Monday–Friday from 8am-5pm. There will be an artist reception with students and faculty on Friday, February 8 from 3-6pm. The Huff School Honor Choir, led by CSMA music teacher Christina Christiansen-Hedge, will perform at 4pm. The show is generously sponsored by the City of Mountain View, which lends its beautiful rotunda space to this exhibition annually. On display will be approximately 360 pieces of art by students (grades K-8) and their art teachers from 14 local schools, including every elementary school in the Mountain View Whisman School District (Bubb School, Castro School, Huff School, Landels School, Mistral School, Monta Loma School, Stevenson School, and Theuerkauf School). Additional schools are Stocklmeir School and Murdock-Portal School (Cupertino Union School District); Santa Rita School and Springer School (Los Altos School District); St. Nicholas School (Los Altos Hills); and Santa Teresa School (Oak Grove School District). Students at these schools receive weekly art instruction through CSMA’s in-school art education program, Art4Schools. Both students and their art teachers created pieces inspired by the theme of Explore Identity Through Art. Teachers developed classroom lessons to support this concept and encouraged students to experiment with different forms of media. The variety of artwork shows the teachers’ and students’ unique interpretations of the exhibition’s theme. 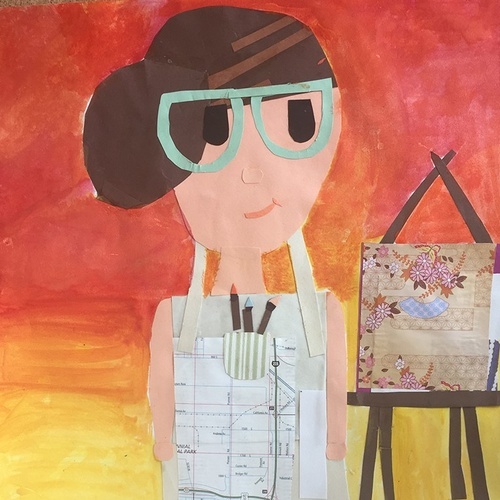 The theme Explore Identity Through Art investigates the many avenues through which the students form and express their identities,” said Jennifer Mineer, Art4Schools Program Manager. “CSMA’s Art4Schools teachers work with their students to discuss key artistic concepts such as line, form, and texture through the lens of self-expression. The students communicate their interpretation of identity by creating art using ceramics, printmaking, painting, drawing and collage. This exhibition encourages everyone to see themselves in the world around them! CSMA’s in-school visual art and music programs (Art4Schools and Music4Schools) serve over 24,000 students at 8 schools in Santa Clara and San Mateo Counties. Taught by professionally-trained CSMA art and music faculty as part of the school day, these programs provide quality arts and music education to grades K-8 students through in-depth, sequential curricula that meet California State Educational Standards. The award-winning in-school Art4Schools curriculum develops hands-on technical skills as well as an appreciation and cultural understanding of art and its history. Art lessons coordinate with students' classroom activities to become an integral, enriching part of each child’s education. To learn more about CSMA’s art and music education opportunities, visit www.arts4all.org. Artist reception on Friday, February 8 from 3-6pm.